Recently Leadstart Publications organised a book reading session for Lakshmi Narayan’s novel Bonsai Kitten in Hyderabad. A number of people were present, at least the pictures which Leadstart has posted on its Facebook page show this. 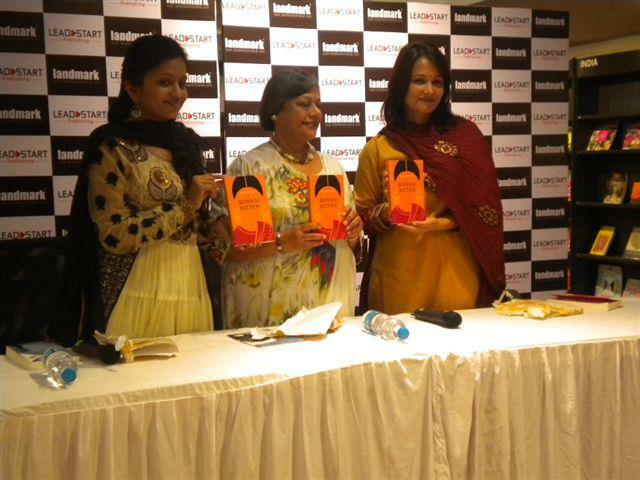 Ms Narayan had launched the book last year in October in the presence of Bollywood celebs. Indeed the celebs are a great way to use as a selling point. Those of you who have contacts in the Bollywood with actors or actresses whom you can pull to your book launches have an upper hand. Ms Narayan was not at the launch for charity, of course. The book reading session was a platform to strike a chord with the readers and buyers. And she is not the only one doing this. A number of writers do this. Many involve in full-fledged promotion activities through advertising campaigns, roadshows, conferences, reading sessions and PR activities. A host of them, now-a-days, walk into the companies to arrange book reading sessions for employees. And it makes sense if the story written have characters from the corporate world. How can today’s writers become marketers as well? They can take a lesson from Amish Tripathi who self-published his first book ‘The Immortals of Meluha’ and then created an online advertising campaign. The viral effect of the ads which he circulated over the web using Facebook, Twitter and YouTube paid him. You might debate the effectiveness of reading sessions but all kinds of tricks need to be adopted.